Google hyped up Android One, its initiative to get Android-powered phones into the hands of more people in the developing world, back at Google I/O. They made good on their promises today in India, launching new phones in partnership with local hardware vendors Spice, Micromax, and Karbonn. 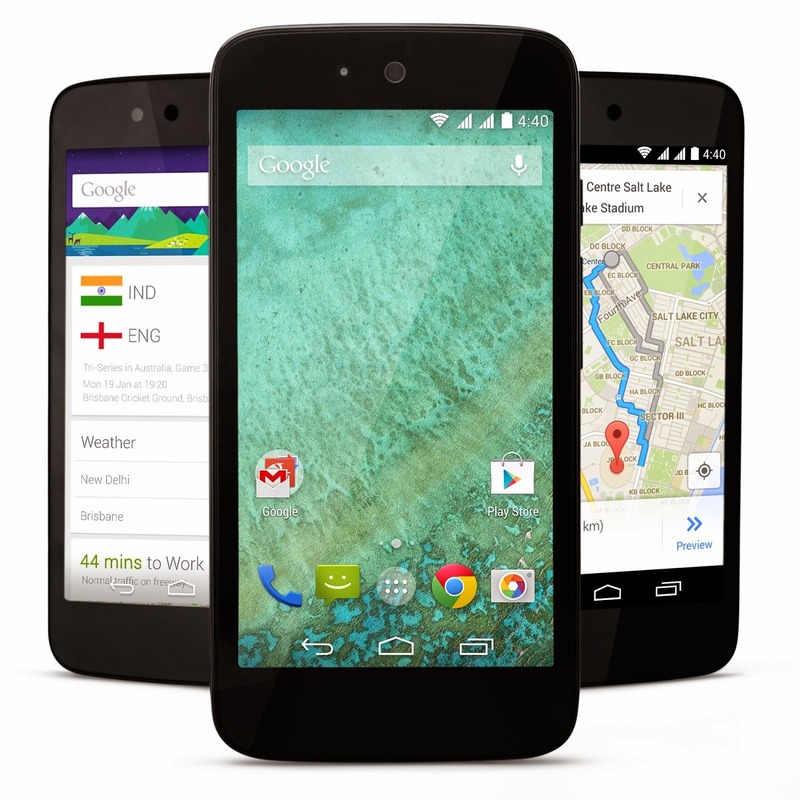 The first three Android One phones are available today starting at Rs. 6299 ($103 USD at current currency rates) without a contract at major online Indian retailers. More countries, as well as more hardware partners, are planned for future rollouts. The three original Android One devices are the Dream UNO Mo-498 from Spice for Rs. 6,299, the Sparkle V from Karbonn for Rs. 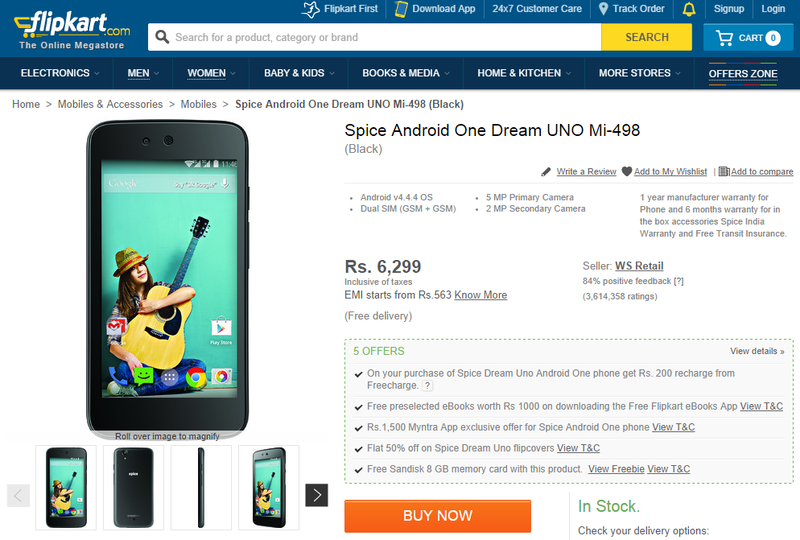 6,399, and the Canvas A1 from Micromax for Rs. 6,499. The phones are essentially identical, all running the same hardware and software and a shiny new build of "clean" AOSP Android 4.4, with the promise of a quick upgrade to Android L directly from Google once the software is available. Google's reference design uses a 4.5-inch 854x480 screen, 1.3Ghz quad-core MediaTek processor, 1GB of RAM, 5MP and 2MP cameras on the rear and front respectively, 4GB of storage plus a MicroSD card slot, a removable 1700mAh battery, and a dual SIM card module. The differences in the three phones are cosmetic at this point, with the Karbonn model coming in four different colors and the Micromax version offering a wood accent around the camera and flash module. Future partners should be able to differentiate their own hardware, at least to some degree. Oh, and those other partners are companies that will definitely turn your head. 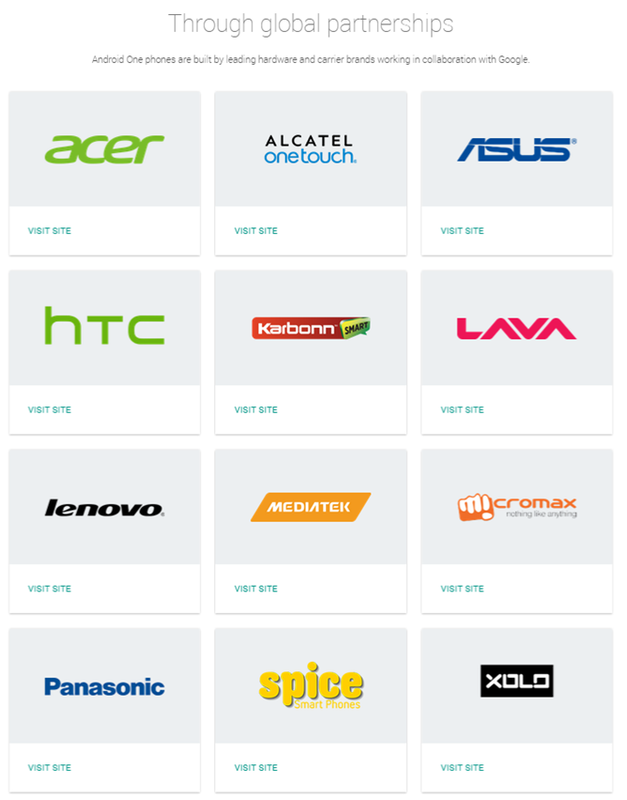 So far the Android One program includes manufacturers Acer, Alcatel, ASUS, HTC, Lenovo, and Panasonic, and supplier Qualcomm is also on board. Smaller regional manufacturers include LAVA, Intex, and Xolo. Google has clearly been working hard on making those connections. 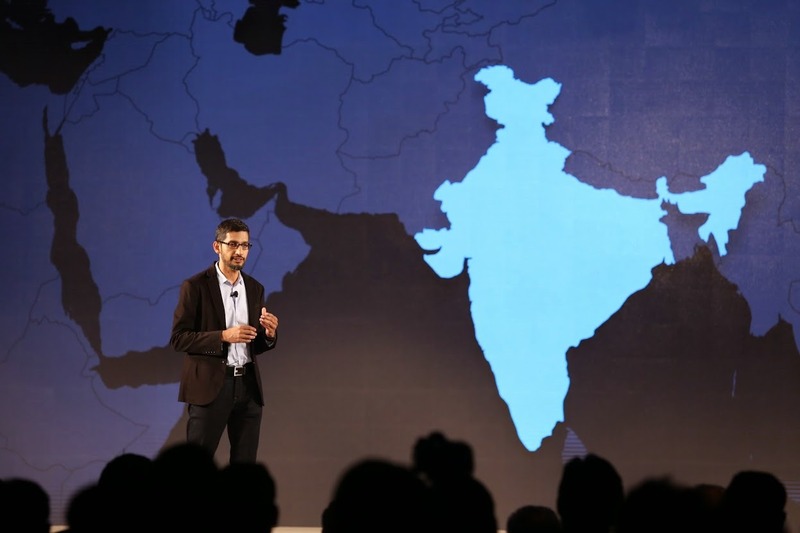 The company is planning to expand Android One into Indonesia, The Philippines, Bangladesh, Nepal, Pakistan, and Sri Lanka by the end of 2014, with more countries to follow. Don't think that this is an altruistic move on Google's part. While millions of new customers will appreciate rock-bottom pricing and direct software support, Google is hoping to cement Android as the mobile OS of choice for billions of people in emerging markets. Perhaps after seeing the way that Android has been decentralized in China, the company is also eager to get people in these relatively underserved areas used to the idea of using Google for all their digital needs. It's a good thing to be sure, but it's also a shrewd business move. Google's push isn't stopping at hardware. The company has also partnered with Indian carrier Airtel to offer free Android and app downloads over its network. Up to 200MB of app downloads per month won't be counted against the customer's data limit. Google is also offering a selection of free magazines from the Play Store for 12 months, and for the first time, allowing YouTube videos to be downloaded for later viewing. The latter feature will come in a future YouTube upgrade. Some of the manufacturers are already bundling apps with their phones (technically bloat, but which can presumably be disabled in the usual way). The Amazon-exclusive Micromax Canvas A1 comes bundled with access to the Amazon Appstore, among other software. It will be interesting to see how much hardware and software variation Google will allow as Android One expands. On the one hand, some companies will want to sell more expensive models - with handsets starting at around the $100 mark, there's a lot of growth potential for portions of the market just above that. (With margins razor-thin already, I doubt the devices will get any cheaper.) On the other hand, every new processor, camera sensor, and resolution will tax Google's support system, not the phone maker's. I doubt that Google is willing to budge very far on the software side of things - aside from built-in apps, Android One devices will probably never see the radical skins and other software customizations that HTC and Samsung have so strenuously applied. Other companies are also running to dominate the smartphone world in developing markets, but with the leading platform in the Americas, Europe, and Asia, Google is in a good position to continue its lead. The fact that these new users will have immediate access to the Play Store and phone software support directly from Google (something a lot of "power" users in more established markets would kill for) doesn't hurt. Whether or not Android One will take hold isn't something that can be easily predicted at this stage, but I'd say that Google is on the right track so far.